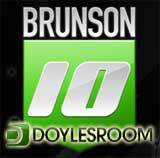 Doyle Brunson has been selecting new upcoming poker players to be part of the Brunson 10 team, so far five of ten players have been chosen to represent DoylesRoom. 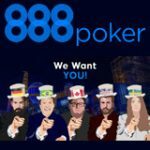 The Brunson 10 will consist of some of the strongest players online and live, who have earned their way onto the team and will soon become future poker legends backed by the greatest poker player around. Doyles Room bonus - 110% first deposit bonus up to $550 use Doyles Room promotional code WAP to get your bonus. 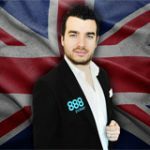 Chris Moorman started to learn how to play poker when he was at university, he entered several freerolls till he won $70 which started his bankroll. 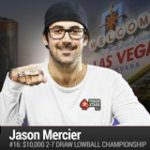 He played low limit cash games until he slowly progressed in limits till poker became his monthly income dedicating many hours to playing poker online and reading poker books to help develop his style and strategy. Alec Torelli is a highly ranked cash game player and tournament winner who won WPT Festa Al Lago two years in a row. 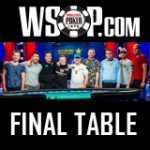 Nephew of the legendary Chip Reese, Zachary Clark has earned his way into the Brunson 10 he has more than nine WSOP cashes and has appeared on television during the WPT 2008 final table. Dani Stern deposited $20 and played low limit cash games until his bankroll increased to the point where he plays $25/$50 limit games. Dani also stars in the Months 2 Million TV show and is the newest member to the Brunson team.